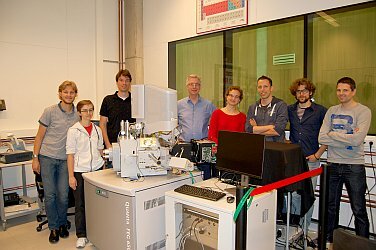 During a festive celebration on June 22, FOM institute AMOLF has officially opened a new cathodoluminescence microscope in Albert Polman’s group that enables ultrafast optical measurements with a spatial resolution of 10 nm. This system integrates DELMIC’s high-performance cathodoluminescence system, the SPARC, with a scanning electron microscope. 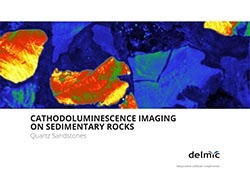 As of today, our white paper on cathodoluminescence imaging on sedimentary rocks is available to be downloaded on our site. This white paper was written by DELMIC’s in-house cathodoluminescence specialist Toon Coenen, and provides an extensive overview of how cathodoluminescence (CL) spectroscopy can be used to study quartz sandstone.